> Slight EQ (Amplify @ 8db) in Audacity > FLAC. and Leyendecker due to battery change. Have kept this one under wraps for a few years now as at the time I was told the show was being recorded for either a DVD or video of some sort (there was at least five cameras taping) so I didn’t want to release an inferior recording. 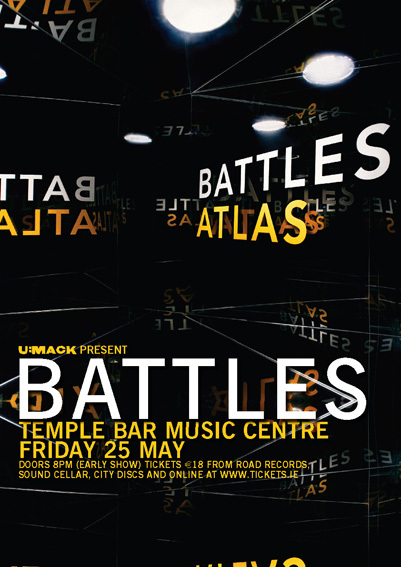 But it seems that nothing has ever come of that DVD so here’s the full recording of Battles in Dublin in 2007. This wasn’t their first time perfoming in Dublin but it was at the time they were getting much more popular after the release of Mirrored and they were in fine touring form so this is a really great performance.